Sending paperless electronic holiday cards for business is a perfect way of bringing Christmas to your inbox. Just glaring at the most precious Christmas symbols can make you feel excited and thrilled about the season. There is nothing like a white Christmas and what could be better than enjoying your Christmas near a frozen lake! So what if you can’t really get there? Our Frozen Holiday lake corporate holiday ecards will help transport you to this other world full of scenic views and beauty to make your loved ones feel all the excitement of Christmas. These cards are also perfect if you do not want to send a traditional looking card but sending something which moreover reflects the seasons’ excitement and thrill! 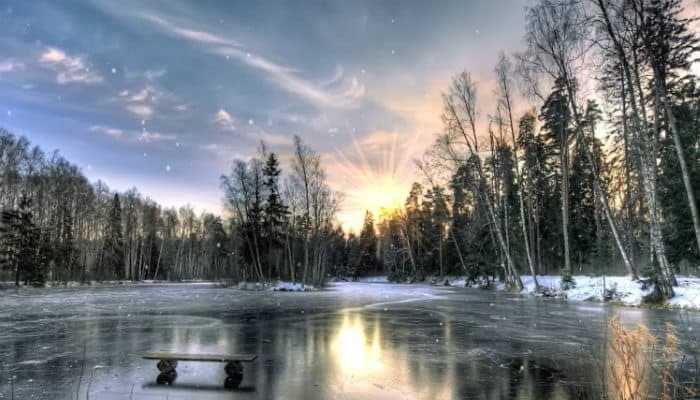 A frozen lake presents a most enduring scene which everyone would love to look at and admire! Our Frozen lake ecards are beautiful and transport you to a perfect, scenic world, full of beauty – more like a winter wonderland! These electronic cards are beautiful and we are sure that your family and friends will enjoy these. Get in touch via email, phone, online chat or in person if you have any questions at all about our service.